Russians Charged With Racketeering (And Selling 10,000 Pounds Of Stolen Chocolate) : The Two-Way The feds said the indictment represents one of the first federal racketeering charges ever brought against a vor v zakonei -- a Russian phrase that translates roughly as "thief-in-law." The FBI announced on Wednesday charges against 27 people allegedly associated with a Russian crime syndicate. Law enforcement agencies announced on Wednesday a litany of charges against 33 people — including 27 who were allegedly associated with a Russian crime syndicate. Authorities said the indictment represents one of the first federal racketeering charges ever brought against a vor v zakonei — a Russian phrase that translates roughly as "thief-in-law." That vor is identified as Razhden Shulaya, 40, living in Edgewater, N.J., who investigators said also goes by "Brother" and "Roma." He and the 26 others are named as defendants in the Shulaya indictment, which charges that they operated a nationwide racketeering enterprise. 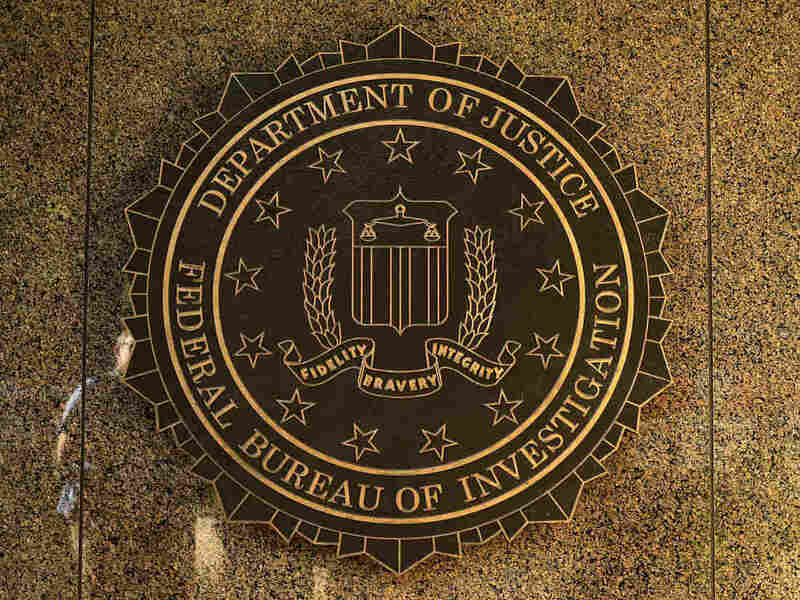 "The suspects in this case cast a wide net of criminal activity, aiming to make as much money as possible, all allegedly organized and run by a man who promised to protect them," FBI Assistant Director-in-Charge William F. Sweeney Jr. said in the statement. The charges were announced by Joon H. Kim, the acting United States attorney for the Southern District of New York, as well as U.S. Customs and Border Protection, the New York City Police Department and the FBI. The charges include a variety of racketeering, fraud, narcotics, firearms and stolen property offenses. The statement said most of the crews were based in New York but that the "Shulaya Enterprise" also had operations in New Jersey, Pennsylvania, Florida and Nevada. Most alleged members of the syndicate were born in the former Soviet Union and maintained ties to Georgia, Ukraine and Russia. Vor refers to "an order of elite criminals from the former Soviet Union who receive tribute from other criminals, offer protection, and use their recognized status as vor to adjudicate disputes among lower-level criminals," according to the Justice Department. "As a vor, Shulaya had substantial influence in the criminal underworld and offered assistance to and protection of the members and associates of the Shulaya Enterprise." In the three indictments and one complaint that were unsealed, some of the crimes are the stuff of classic mobster movies: a poker house in Brighton Beach, buying and selling cases of purported illegal cigarettes and selling stolen jewelry. Among the more colorful allegations is the charge that two of the defendants arranged the transport and sale of a whopping 10,000 pounds of "stolen chocolate confections" to a government informant. And some of the syndicate's crimes were more elaborate, according to the unsealed racketeering indictment. The enterprise is alleged to have completed "reconnaissance" on predicting the behavior of particular models of electronic slot machines to defraud casinos. In April, two of the defendants allegedly executed the scheme, making over $1,000 by manipulating the machines. Another scheme involved using a female member of the syndicate to "seduce men, incapacitate them with gas, and then rob them," according to the Justice Department. The darkest crime alleged is a murder-for-hire plot, with enough lurid details to make the complaint read like a juicy novel. According to the document, Nikoloz Jikia, 26, and Bakai Marat-Uulu, 25, both of Brooklyn, sold a revolver to an informant identified as CS-1. The informant allegedly discussed with the defendants killing and robbing the informant's supposed business partner, who CS-1 said stored large trucks filled with contraband cigarettes. CS-1 offered Jikia and Marat-Uulu a percentage of the sale of those cigarettes in exchange for assistance in killing and robbing the business partner. Marat-Uulu, Jikia and the informant then "discussed the means and logistics of disposing of the corpse of the Victim following the murder of the Victim," according to the complaint, which cites recordings of conversations conducted largely in Russian. "For example, Jikia suggested, among other things, that 'maybe you [CS-1] should disappear it [sic],' and more specifically referred to the use of 'acid' to dissolve the corpse. Marat-Uulu suggested, among other things, covering the corpse with lime and burying it, so that 'in a year, there won't be a hair.' "
The 27 defendants charged with racketeering each face penalties of up to 20 years in prison and $250,000 fines. If convicted, Jikia and Marat-Uulu could face life sentences on charges of firearm possession "in furtherance of a crime of violence," as well as charges of conspiracies to murder for hire and selling firearms to a felon. The Justice Department said it had taken most of those charged into federal custody, but five were still at large.